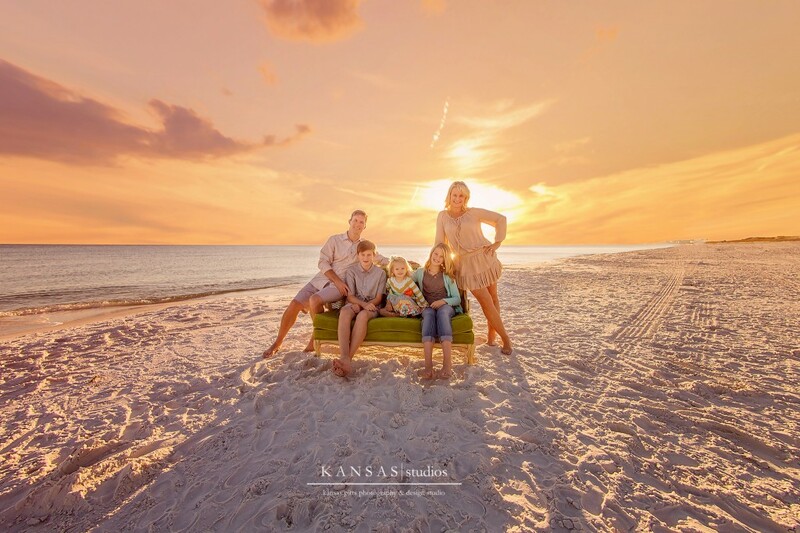 I don’t do many prop-y sessions on the beach…just because they don’t always look good – just a prop on a big open beach. 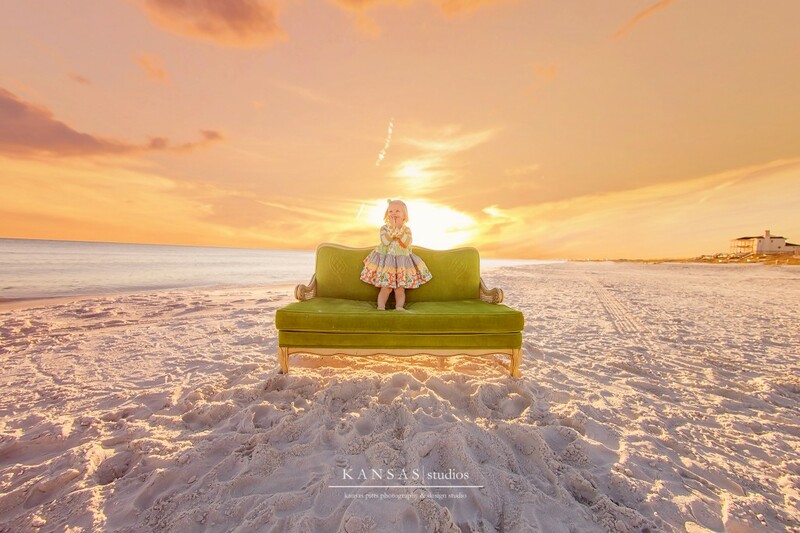 Keely changed my mind for this one – this green couch just had something almost golden with the afternoon light shining on it! 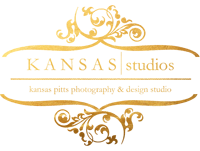 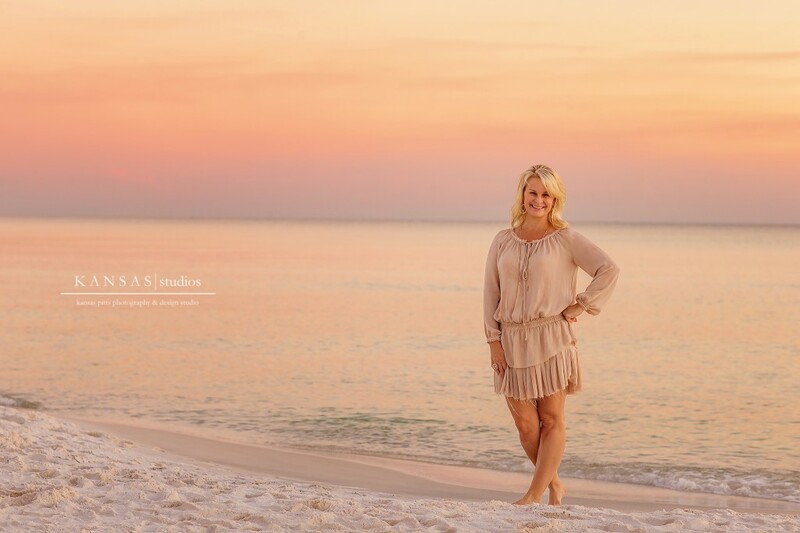 And, of course Keely had all the wardrobe down – she is so creative and is the owner of my favorite kids store (it is actually named on my brochure on where to shop), Pretty Please at Grand Boulevard – to.die.for stuff! 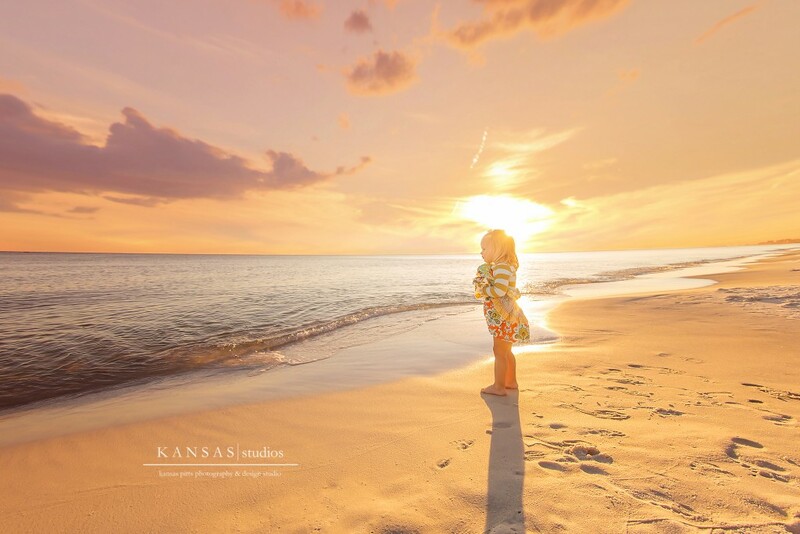 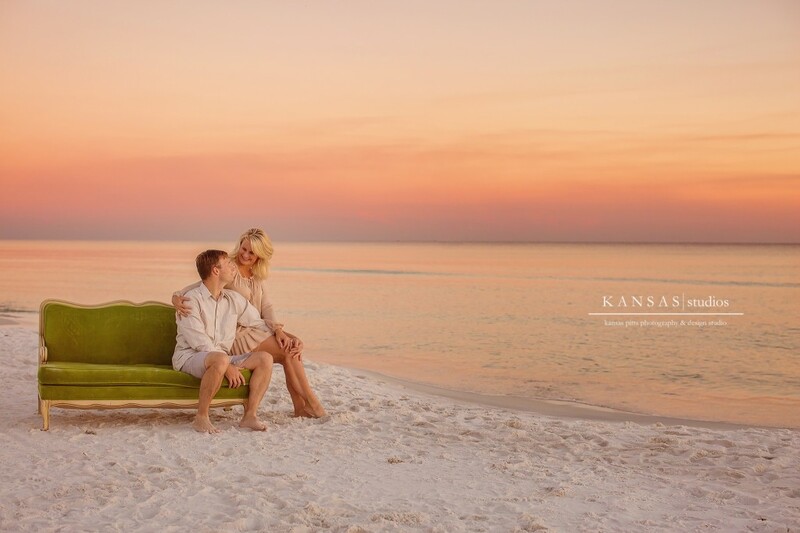 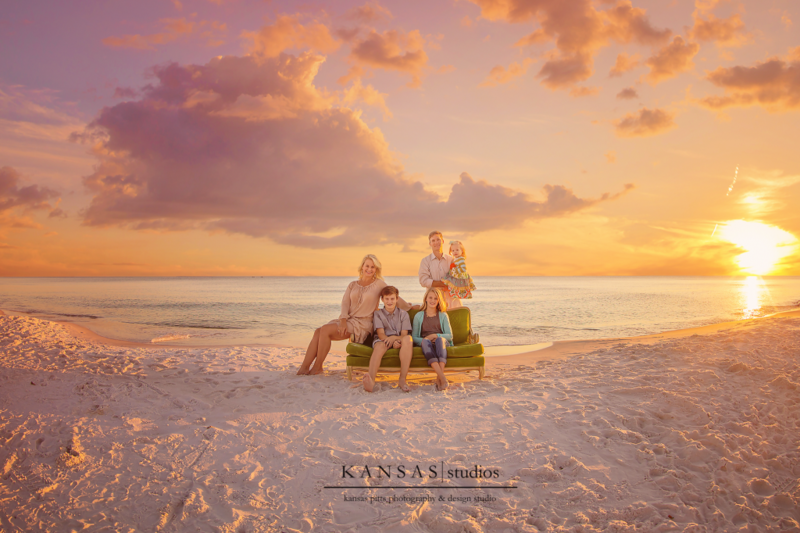 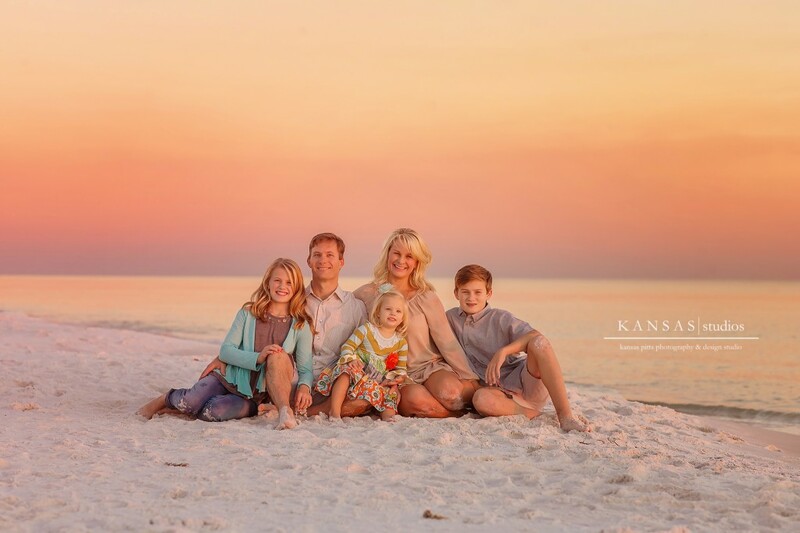 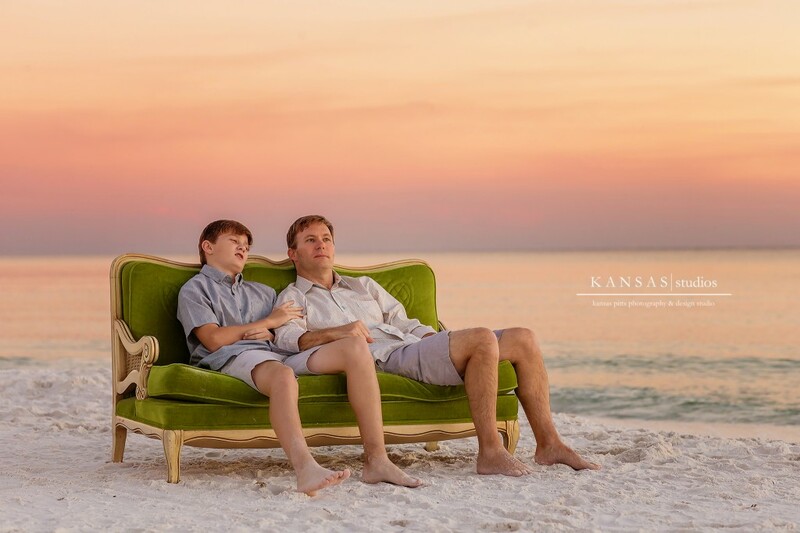 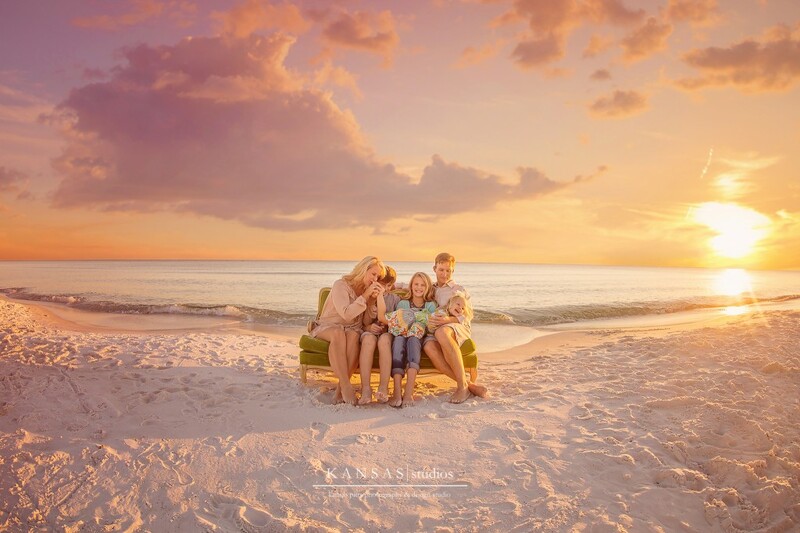 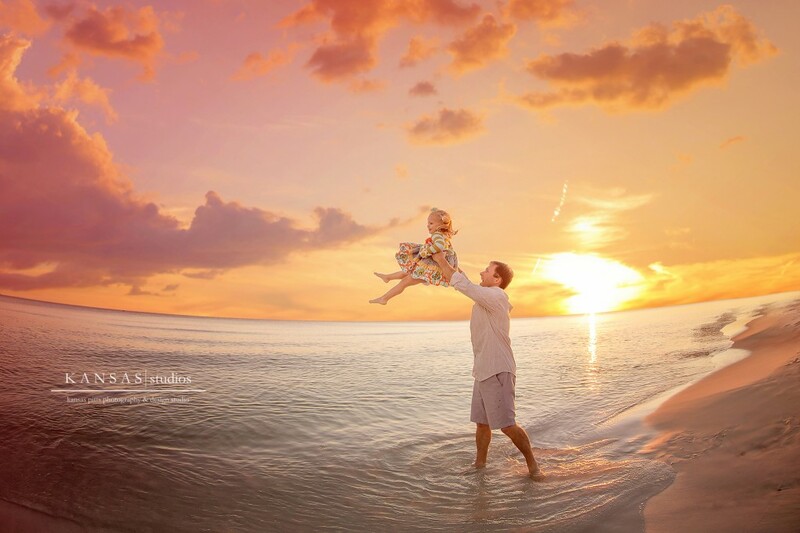 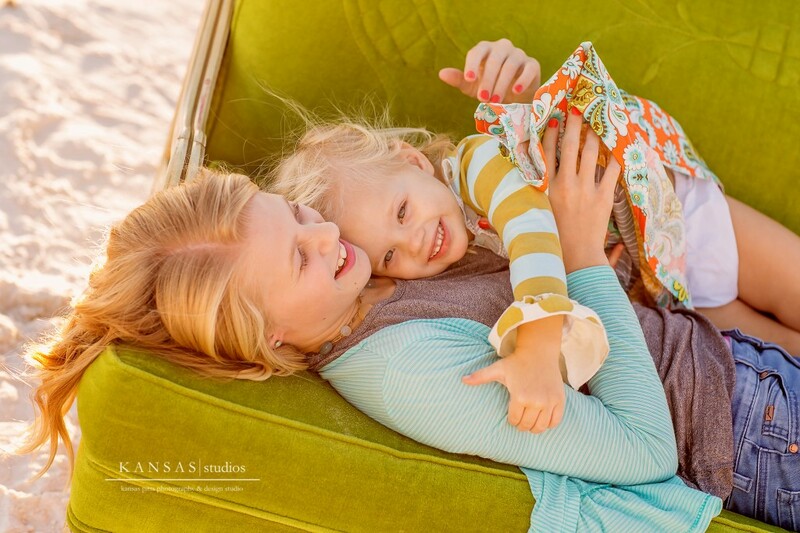 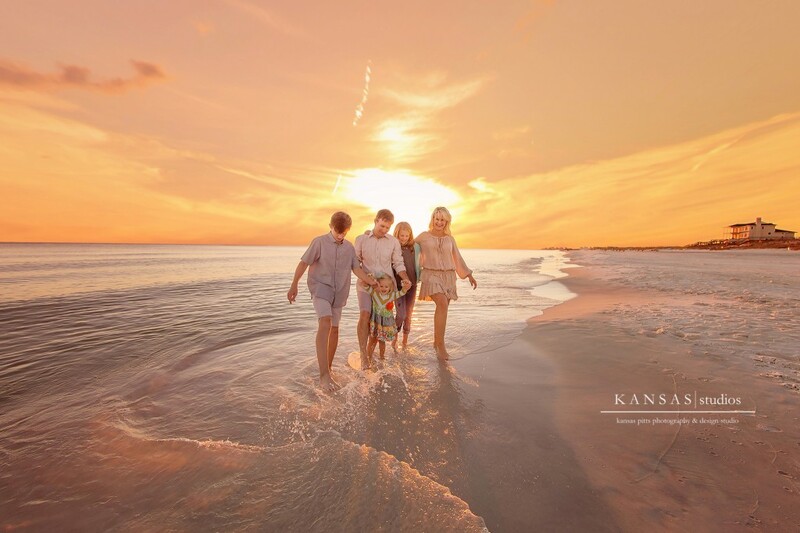 The colors in their session are so pretty – I love afternoon beach sessions in the fall – so gorgeous! 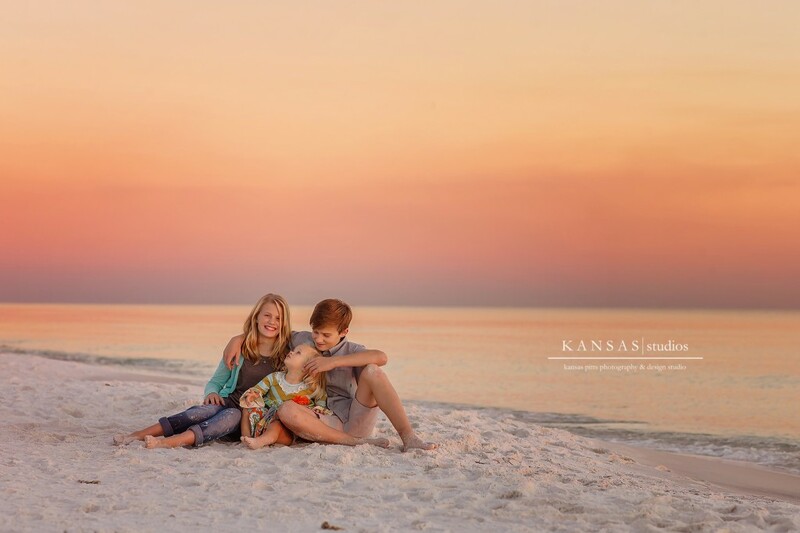 One side of the sky was gorgeous clouds and the other side just had this deep pink and peach glow. 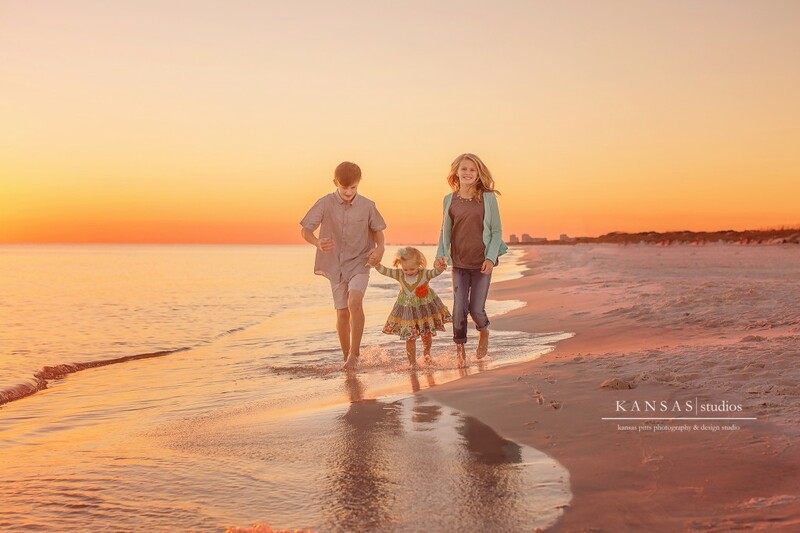 We are dang sure lucky to live here – I am reminded of that every single day!